Press Release - Government of Belize - November 16, 2012 - Prime Minister Barrow met with President Calderon on Monday at Los Pinos, the official Presidential Residence, in Mexico City to discuss regional security. Also present at the breakfast meeting were President of Costa Rica Laura Chinchilla and Honduran President Porfirio Lobos. 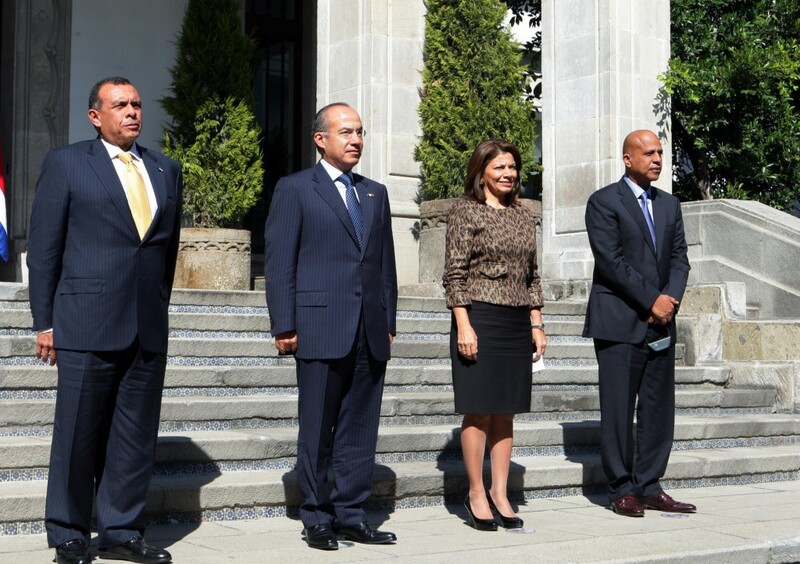 Prime Minister Dean Barrow was accompanied by resident Ambassador to Mexico H.E Oliver del Cid, Minister Counsellor Ms. Ardelle Sabido and Major Oscar Mira. 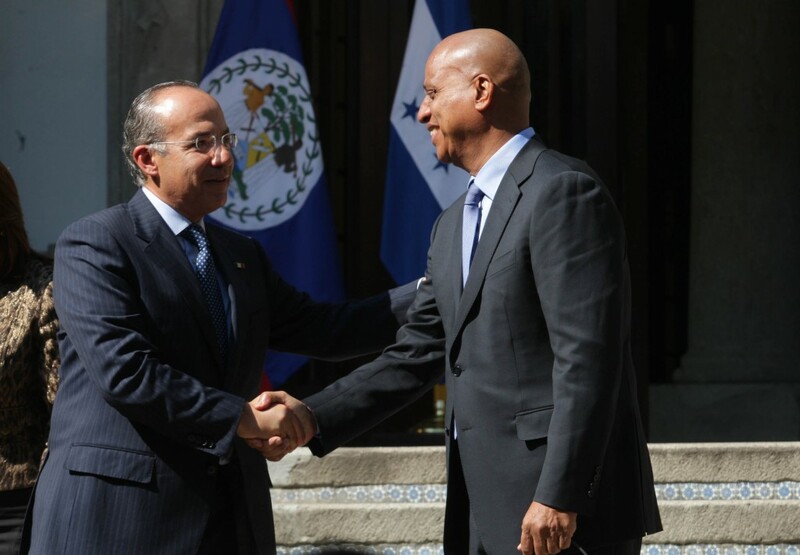 President Calderon leaves office at the end of November, 2012 and hands power over to President Elect Pena Nieto on the 1st of December, 2012.